If smartphone users love tablets, could the PadPhone be a hit after all? Tablets appear to be reaching their saturation point, according to data from the latest ComScore report. ComScore found that one out of every four smartphone owners is also a regular tablet user, enough for the report to claim tablets have "reached a critical mass in the U.S."
While "critical mass" is a bit hyperbolic, tablet usage has seen a 13.9 percent jump among smartphone users in the last year with 23.6 percent of all smartphone users embracing tablets. That's compared to an 8.1 percent increase in tablet adoption among feature phone users, suggesting that smartphone and tablet ownership are strong bedfellows. Why are the smarphone owning masses turning to tablets? According to ComScore, video playback is the biggest draw. About 53 percent of tablet users spent some time on their device watching or streaming video of some kind. Meanwhile, only 20 percent of smartphone users did the same. And while the statistic for everyday video usage drops down to 9.5 percent of tablet users, smartphones see a more significant drop to 2.9 percent who watch videos daily on their devices. It's hardly surprising that a tablet's larger screen is favored for video instead of smartphones, but it never hurts to have data to back up your assumptions. 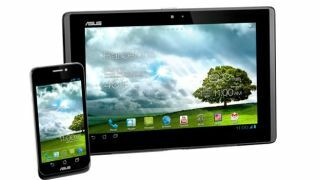 The release of this data couldn't have come at a better time, as Asus aims to cover all smartphone and tablet bases with its bizarre phonenetlet, the PadFone.